8AM – 2 PM Tues. / 10AM – 5PM Thurs. The Town of Dalton is an equal opportunity provider and employer. 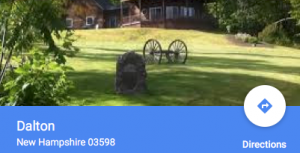 Copyright © 2019 Town of Dalton, NH. Powered by WordPress. Theme: Spacious by ThemeGrill.